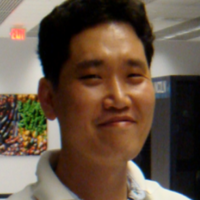 Dukyun Nam is a senior researcher in the National Institute of Supercomputing and Networking at Korea Institute of Science and Technology Information (KISTI). He received his B.S. in computer science and engineering from Pohang University of Science and Technology (POSTECH), Korea, in 1999, M.S. and Ph.D. in information and communication engineering from Korea Advanced Institute of Science and Technology (KAIST), Korea, in 2001 and 2006, respectively. His research interests are in high performance and distributed computing, low power computing, system software in HPC, etc.